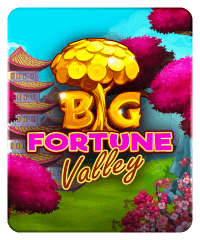 The Big Fortune Valley slot machine offers players a few fun bonus rounds: Ultra Coins and Free Games. 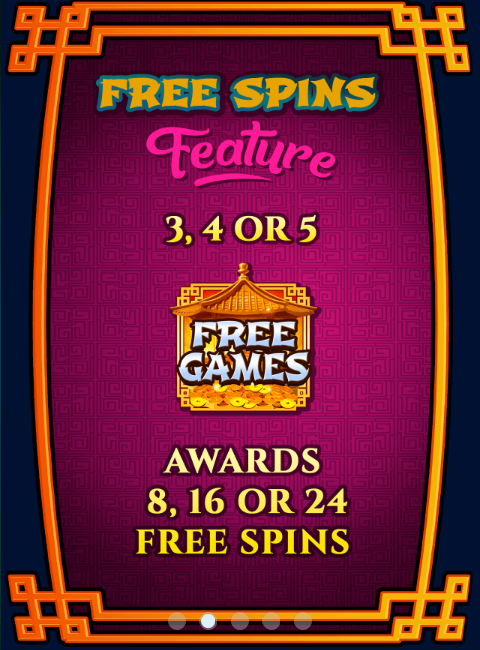 Ultra Coins is triggered by getting 6 or more of the gold coin bonsai tree symbols on the reels. 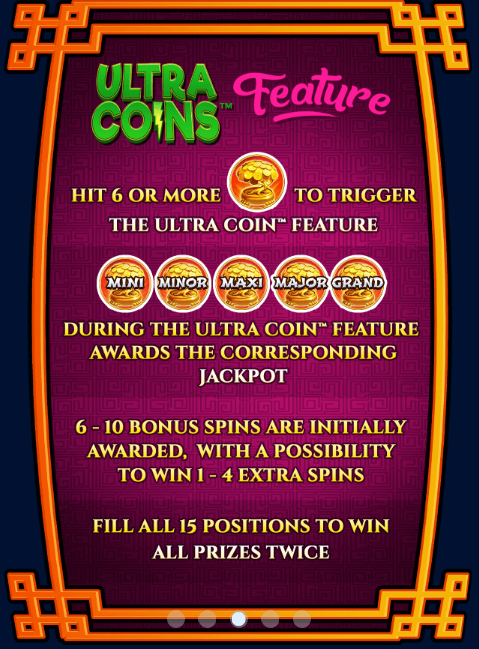 During Ultra Coins, you can win Mini, Minor, Maxi, Major, or Grand jackpots, along with extra spins each time you lock a coin symbol into position. 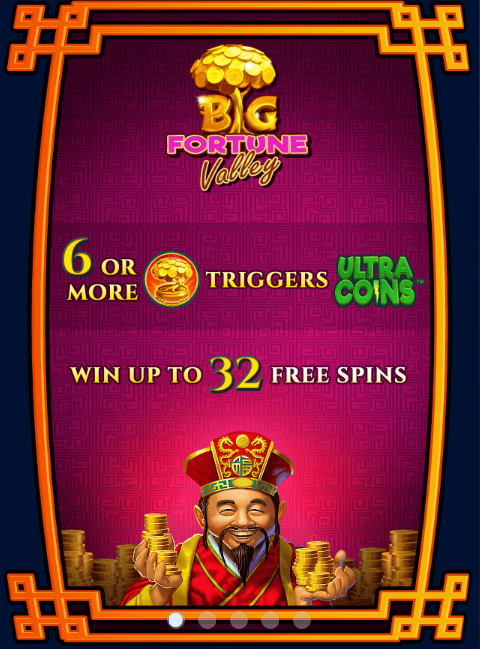 Fill all 15 positions and win all prizes twice! 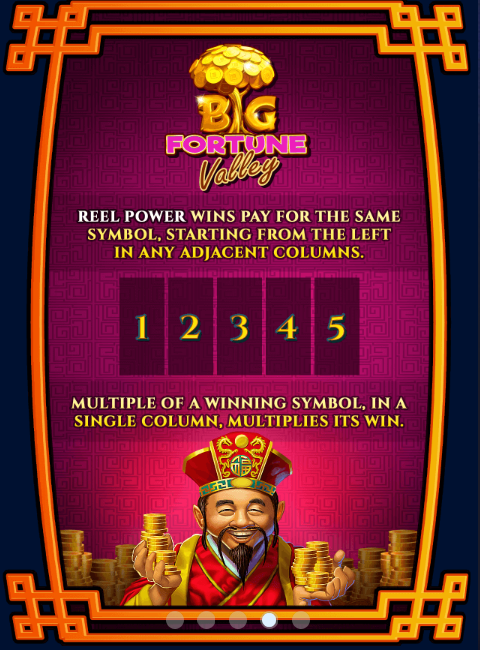 Get three Free Games symbols on the reels to get 8, 16, or 24 free spins. 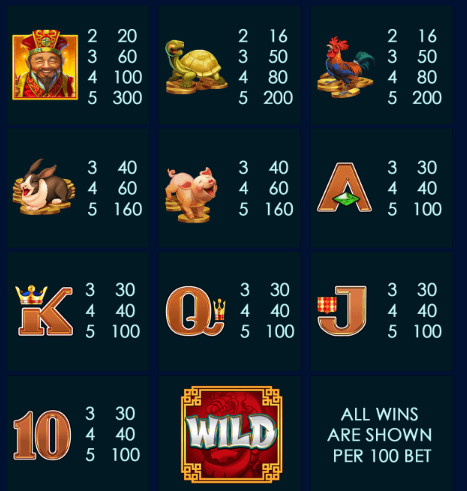 If you bet high enough (normal 1M, or VIP over 6.25M bet), the coins can also have gold bars on them.